Playground equipment is generally constructed using plastic, metal and wood. But as per the recent survey, it has been seen that people are more inclined towards choosing the wooden playground equipment. The equipment is not only considered entertaining for kids but also the safest for them. Cedar, timber and redwood are used to build the wooden play sets. These are pressure treated and naturally resistant to decay and insect, therefore, provide durability to the playground equipment. As compared to metal and plastic playground equipment, wood play sets are stronger and last comparatively for longer time. Wooden playground equipment does not corrode as metal play sets. Also, kids do not slip or lose their grip on wooden play sets as it happens in plastic playground equipment. Wooden play sets are designed with various rooms that can be personalized with other independent play sets like slide or swing to enhance its fun factor. It has been noted that the safety measures are often neglected in plastic and metal swing set. Whereas, prime attention is given to the safety measures while designing the wooden playsets for kids. All the necessary anchors like hinges and railing are installed at the required places in the playground equipment to ensure the kids' safety. 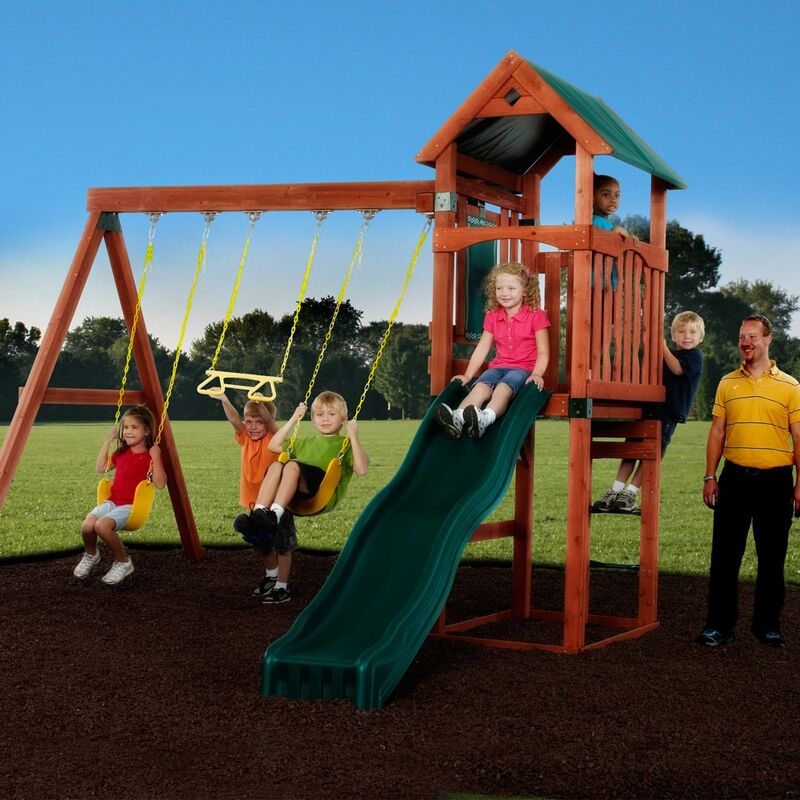 Wooden playsets are offered to the customers with instruction manual so that they can easily install the play set in the playground or backyard. How to Create a Backyard playground?